A Plug & Play paid-content system to manage subscribers, gather fees and drive additional content sales. What Do You Get With Wallkit? 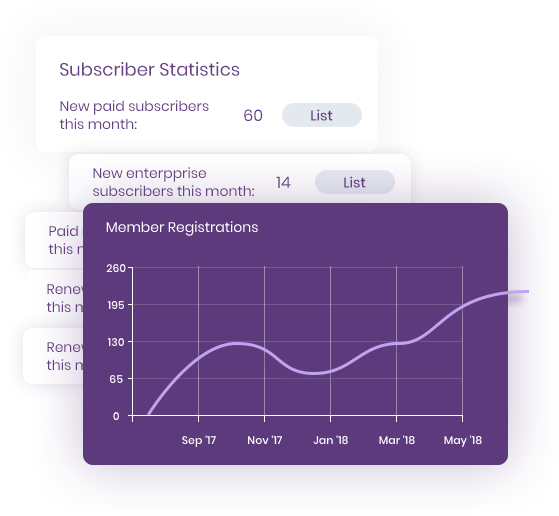 Wallkit is a paid-subscription platform designed for media companies and digital content owners. WK is a flexible “leaky” paywall – avoiding the annoyance of hard paywalls. 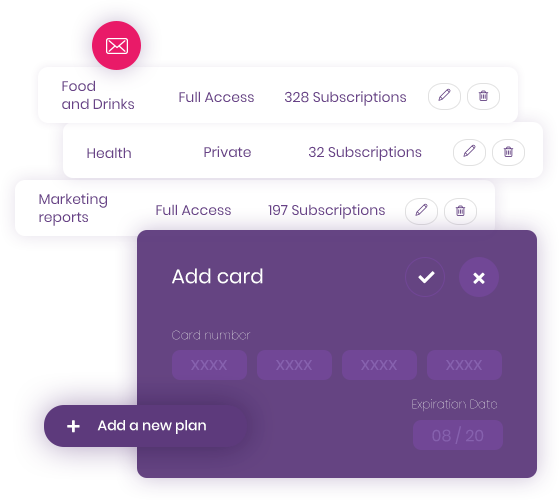 Create unlimited plans and their own set of rules. Generate promotional membership invites for prospects and limited-time promotional/discount codes. Create a new sales funnel by leveraging trial functionality. Secure Amazon services, including EC2, SES and S3. WK can optionally run on a self-hosted installation. Offer memberships throughout the whole network, or only to a part of it. Create unlimited plans and tailor their limitations. Customize when and where your email alerts are triggered. Set the dashboard to show the information you need. Wallkit is completely API based – giving you the option to let your development team handle integration, or outsource it to WK developers. 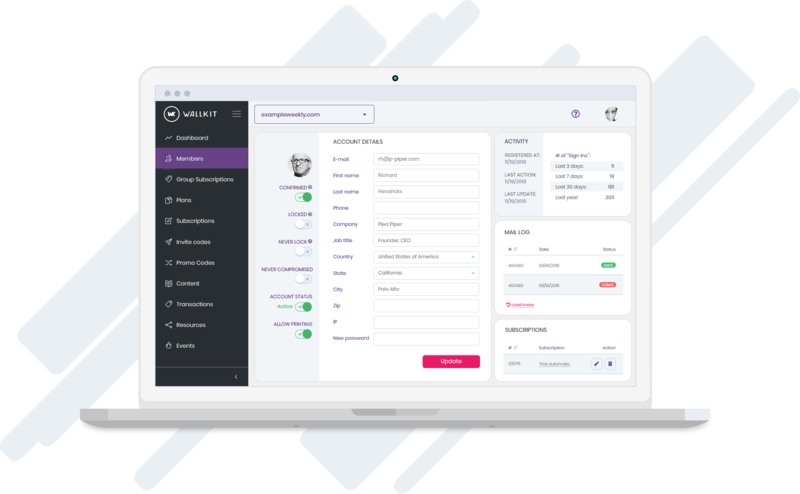 Wallkit supports an array of CMS, payment and software, including WordPress, HubSpot, Streak, MailChimp, Stripe, Slack and Braintree. Wallkit was founded out of the need for a more flexible system for PSFK.com – something existing platforms could not provide. Join the Wallkit 2019 Program. Be one of the first to pioneer the new product. Schedule a free demo with our sales team! Fill-out the details below to get started for limited 2019 Starter Program access. Fill-out the details below to get started with your Wallkit Professional access. and all further details by e-mail. You will be charged $199 per website on a monthly basis. 365-days full money-back guarantee applies. © 2019, Wallkit, Inc. All Rights Reserved.